“You have breast cancer.” I still remember the moment when I was told in early November 2015 that the lump in my right breast was cancerous. As many of you might already know, cancer treatments are aggressive and takes a devastating toll on the body. In my journey to rebuild health, I discovered the keto way of eating. While it may not be the answer for everyone, it has been central to my wellness recovery. Cancer is scary but that word is all too familiar in my world. I had a lumpectomy (removal of the cancer cell area only) in December 2015. 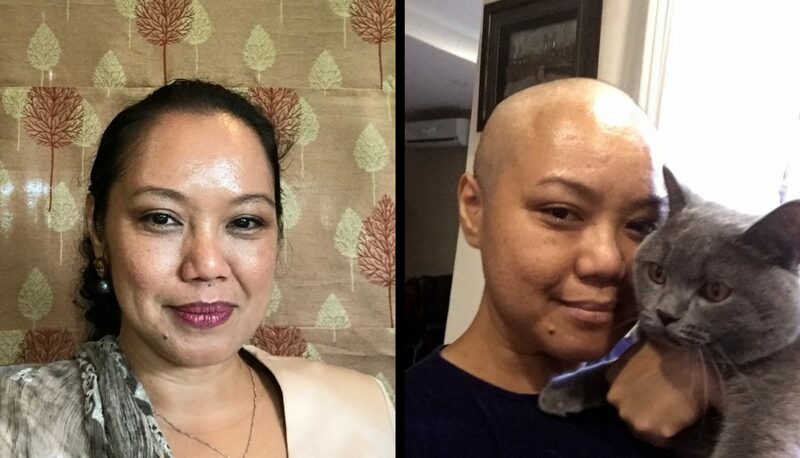 Then in January 2016, underwent four rounds of Chemotherapy followed by Radiation and Hormone Therapy at Pantai Hospital. It took about a year to complete. I’m very thankful to have doctors and caregivers who were supportive and compassionate. Subsequent scan shows I was in remission, unfortunately, there were side effects. For me it included bronchitis, incontinence, a deterioration of my strength and a loss of clarity (commonly referred to as Chemo Brain). At the time, I was a Geomarket HR Manager for a multinational oil and gas company with responsibilities that included managing large projects and people. Having to cope with the inability to express my thoughts clearly was heart breaking. I am just so thankful that my husband and other caregivers were supportive during those dark days. When I was too weak to even walk, I would hold on to my husband and we would walk around the neighbourhood. I was determined to regain my strength. I was determined to LIVE. I started researching different cancer treatments from clinical to alternative methods. I was determined to ikhtiar (endeavour) and choose what is the best treatment available. But how do I then make sure cancer is not going to reoccur? At that point, I had already cut out sugar, dairy and was limiting carbohydrate intake. After chemo, eating these ingredients consistently resulted in my body shutting down. I would just fall asleep and lethargic. I knew my body was changing, this is the ‘new normal’ my doctor was talking about. So, I thought, if my body reacted negatively to certain foods, would then feeding my body with nutrition and the right food result in it being able to heal itself? In the search for ways to naturally heal my body through the right types of food, I discovered the keto diet. Whenever I was on Ketosis, I could feel my body responding. I felt better, more energized. I didn’t feel lethargic at all. The most important positive indicator was finally having a sense of clarity. Changing my diet has lifted the fog my brain seemed to be struggling under. While I’m not completely at 100%, I have gotten much better at articulating, talking and at expressing myself. Since being on this diet, I am also now able to complete 1 hour of exercise with a trainer and go on two to three-hour hikes. A ketogenic diet is a low carbohydrate, moderate protein and high fat diet. It revolves around limiting our carbohydrate intake in order to put our body in a state of burning fat for energy as opposed to glucose. By lowering our intake of carbohydrates, we put our body in a state called “ketosis”. During this state, our body makes ketones, which are produced from the breakdown of fats in the liver. Loading our body with fats and taking away carbohydrates, will make our body burn ketones as the primary energy source instead of glucose. In other words, we burn fat for energy as opposed to burning sugar. Optimal ketone levels offer many health, weight loss, physical and mental performance benefits. 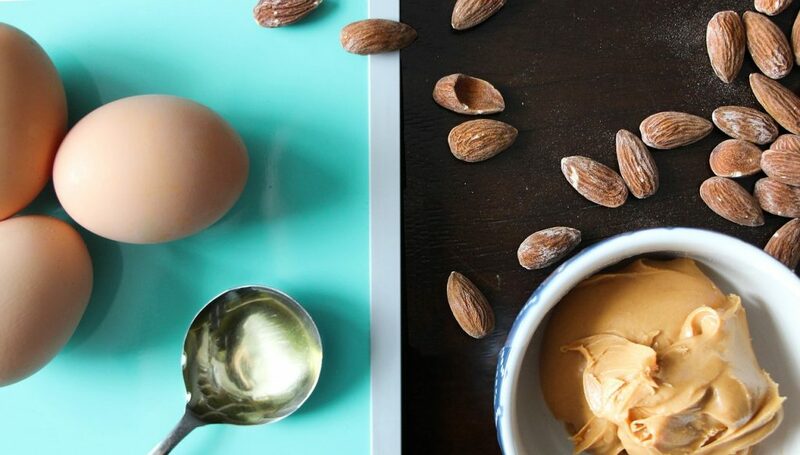 Eat Fat to a Healthier You?! It sounded contradictory to me at first. How can we lose fat when we eat fat? The difference, however, is being selective about the type of fat we eat. It must be good fat, so, when I say good fat, I’m talking about grass fed cow’s butter, heavy cream, avocado, cold pressed extra virgin coconut oil and nuts like macadamia and pecans. There is a lot misconception about keto, people think we are just eating bacon, butter and oils which is not the case at all. In keto we learn to listen to our body. Eat when we’re hungry, and when we’re not (hungry), we don’t eat! In some ways, it is against society’s norms of what is healthy eating. There are many school of thoughts when it comes to all diets, including keto. For me, I advocate eating greens to supplement our body with electrolytes like magnesium, potassium, sodium and calcium. In Malaysia we do not have to resort to just eating salads, we have plenty of choices like spinach, morning glory, bak choy and our rich variety of herbs (ulam-ulaman). Electrolytes are especially important as they help with leg cramps, headaches, heart palpitation etc. other than vegetables, bone broth and Himalayan salt are also recommended. Moderation is really key, and you must be aware of your body. If you feel that something that is not right, you should re-examine it. I believe that food is our medicine. As we become more aware of self-healing and the capability of the body to heal itself though food, that is where we become more selective of the food we eat. During chemo, I was a pre-diabetic. My insulin level was 11, which was quite high. Currently I’m at a 7. Getting this result by doing strict keto diet, cutting all forms of sugar/glucose and getting carbs only from vegetables. My advice to diabetic patients who wants to embark on keto way of eating, do research and understand the difference between diabetic ketoacidosis and ketosis and start only after consultation with your medical doctor. 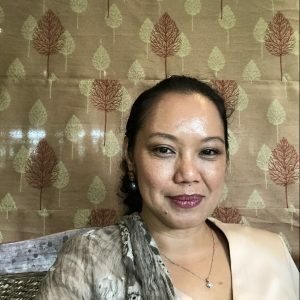 My Instagram page @asianketo was born out of my food journal documenting my wellness journey on Instagram and sharing Asian inspired keto recipes with anyone interested. At its heart, its mission is to ‘Share, Learn and Connect’, sharing knowledge so we all can grow and build a supportive keto community. For any diet or way of life to be sustainable, it must be inclusive, so how do we do that? By making our culture and food traditions as a part of our new way of eating. We make it appealing for people to eat healthy food using flavours that are close to their hearts. What is close to Malaysian hearts? Nasi lemak? Laksa Nyonya? 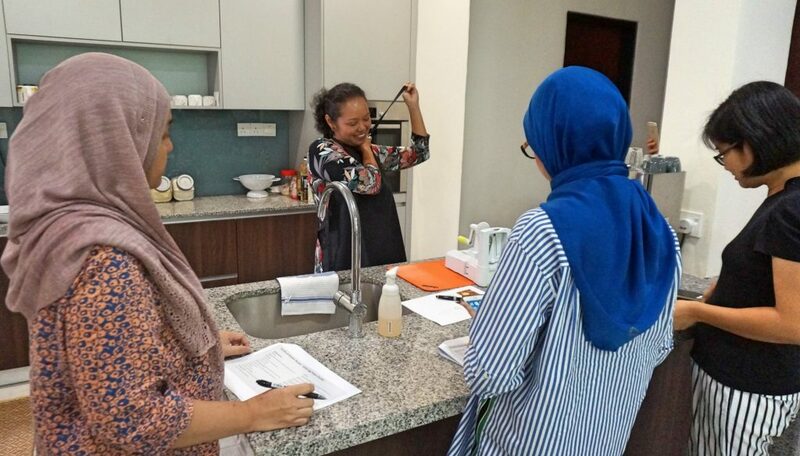 Masak Lemak Cilipadi? Salted eggs? 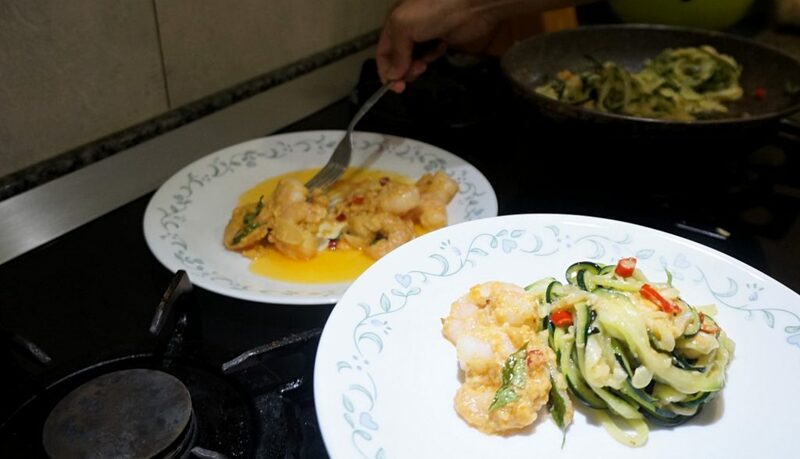 Since taking this direction, I’ve created recipes such as Cauliflower nasi lemak, an almond-based cucur udang , salted egg zucchini noodles, and many more. When you are able to embed your way of eating, your traditions and your culture into your diet, only then can a new way of eating and way of life be successful and sustainable. The failure of a lot of diets is when we’re trying to ape the west instead of creating our own identity. So, this is keto, yes, but it’s a Malaysian way. 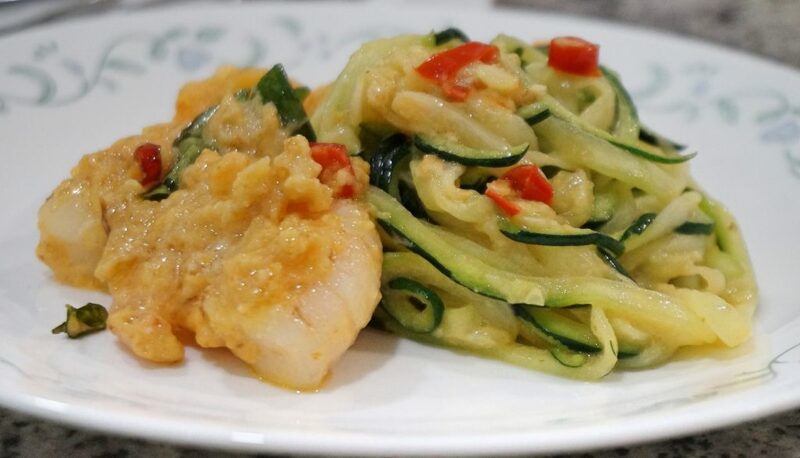 Take asianketo’s recipe for Salted Egg Zoodles for example. It has all the elements of keto. 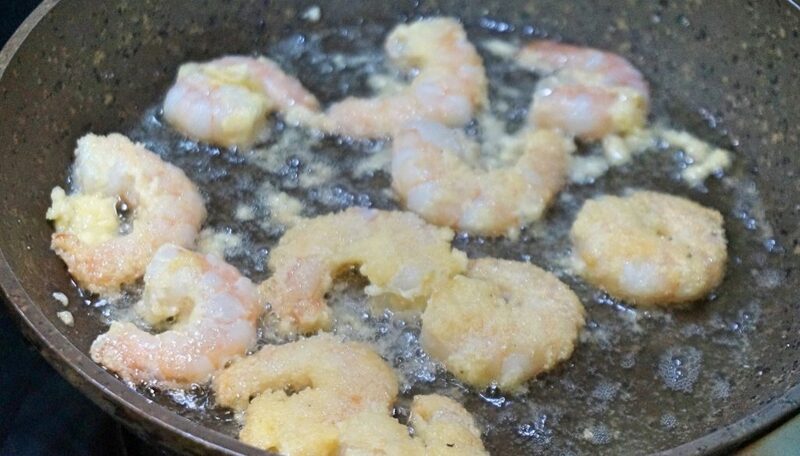 Carbohydrates from the zucchini, fat from the heavy cream and protein from the prawns. 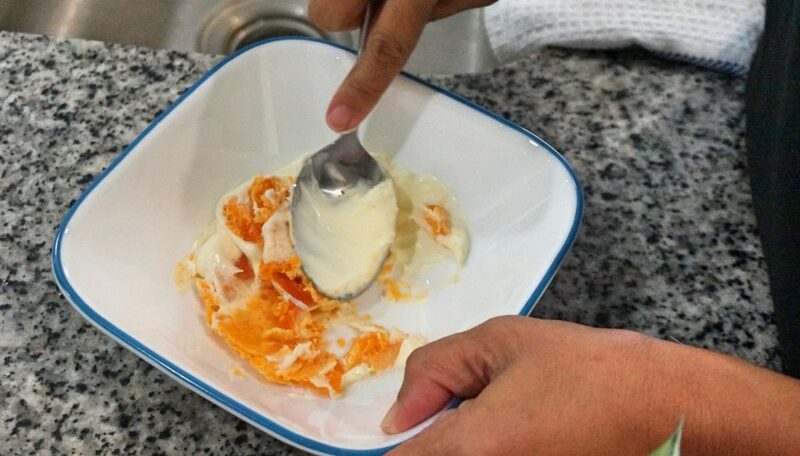 It combines together really well with salted egg sauce. 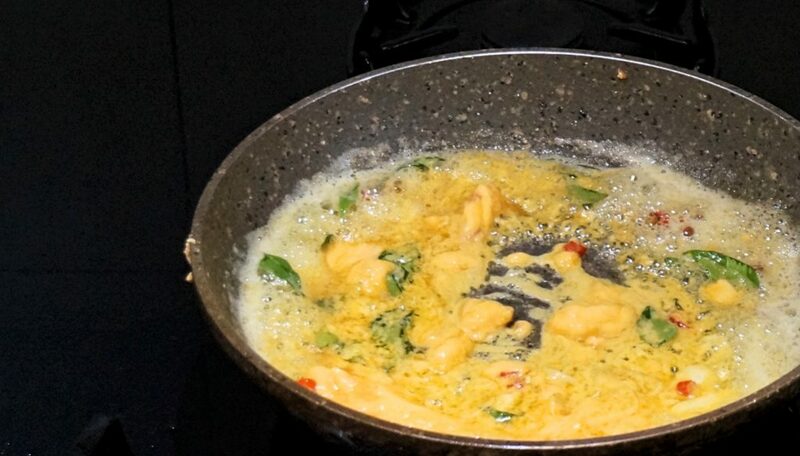 The Malaysian part of it comes in the addition of chili padi and curry leaves. For me it’s a perfect dish. It’s delicious and it’s kid friendly! 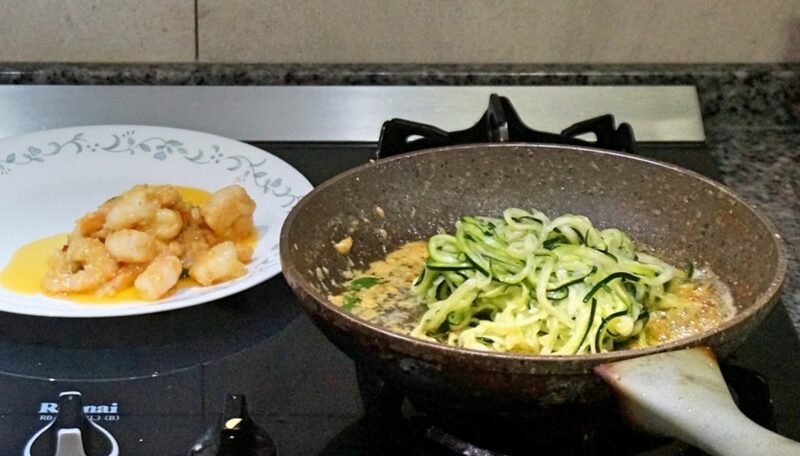 If anybody wants to start on a keto diet, the salted egg zoodles is a great recipe to kick off with because anything with salted eggs is delicious! Add garlic and curry leaves. 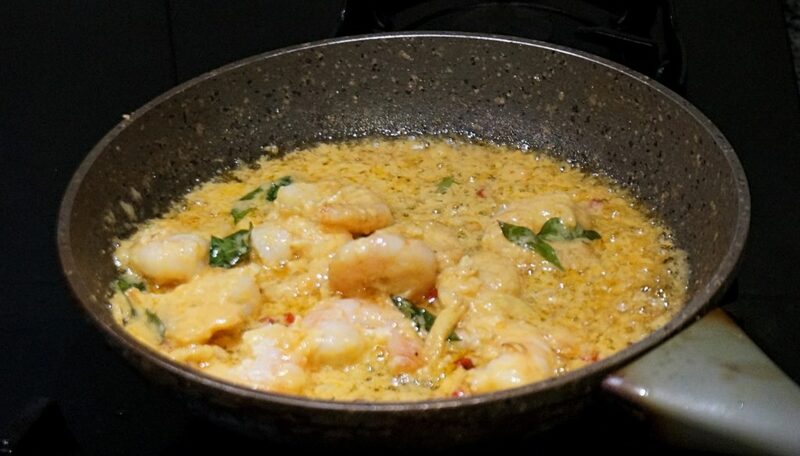 When the garlic start to turn brown, add the salted egg yolk paste, chopped chili padi . Let it sizzle for 2-3 minutes. 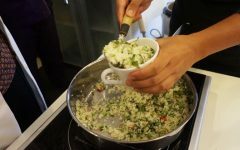 Cauliflower Cooking Class: Class menu includes Caulirice Nasi Goreng Kampung, Caulirice Nasi Ulam and Caulirice Nasi Lemak with Sambal Bilis and Chicken Rendang. 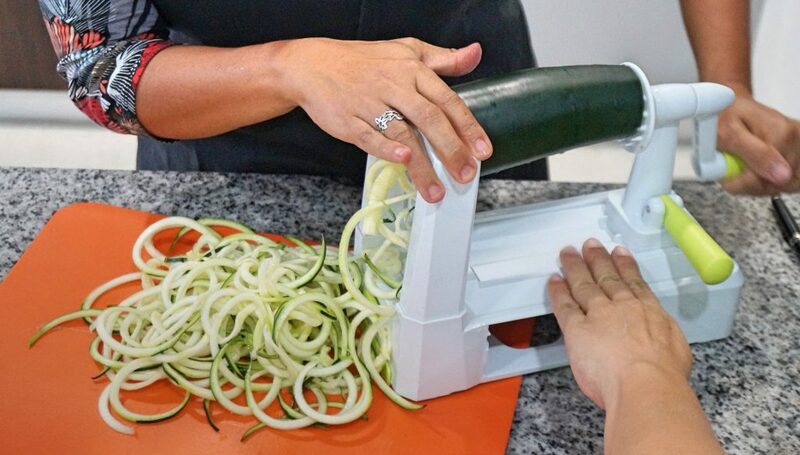 Zoodles and Noodles: Class menu includes Salted Egg Zoodles, Pesto Airdried Beef Zoodles, Shirataki Korean Noodles and Shirataki Nyonya Curry Laksa. Baking Bread and Buns: Class menu includes Almond Bread, Keto Blueberry Muffins, Soft Dinner Rolls and soft bun with curry beef filling. I’ve received so many requests for keto bread and buns that I now have started selling them through orders on Instagram. These bread/buns are special. They are low in carbohydrates, gluten-free, wheat-free, grainfree, sugar-free, yeast-free and have no preservatives whatsoever. Amazing right?! 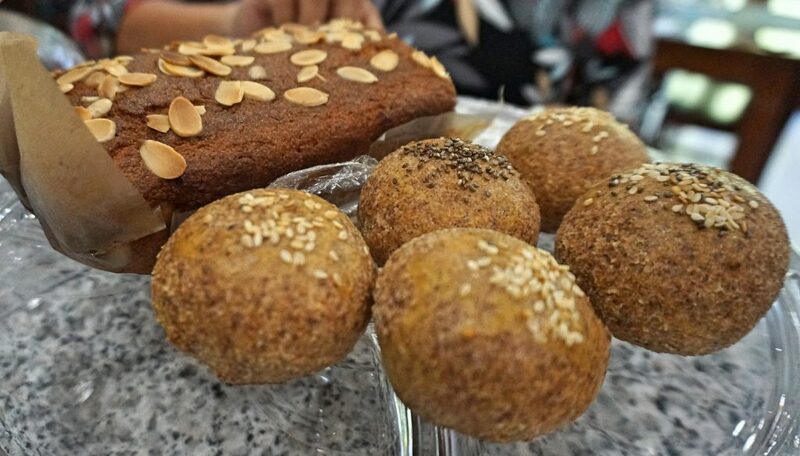 @asianketo products are keto muffin, buns, coconut and almond bread as well as wildorange Almondcake. How do I add value to our products? 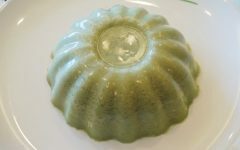 By infusing lemon essential oil for bread and wildorange essential oil for cake!. This goes back to letting the body heal through food. Lemon and wild orange essential oils have that healing and cleansing property so you get that benefit when you eat our bread/cake. It’s important that the food I produce is both delicious and healing. Many participants attending my classes have health issues including type 2 diabetes, epilepsy, PCOS, metabolic syndrome, blood pressure, cholesterol and numerous autoimmune diseases. Some have been advised to avoid gluten, carbs and sugar but may not have the knowledge on how to customize the food to a Malaysian diet. When I decided to go on a Ketogenic journey, I knew that in order for me to keep at it, the food had to be appealing to me as a Malaysian. I’m a Malay, I’m Asian. I can’t eat steak every day. So, how do I make sure that this diet is inclusive. How do I go on a diet and still be able to eat delicious food that appeals to my taste buds and yet is full of nutrition? In asianketo we believe sustainable way of eating is inclusive and not depriving. 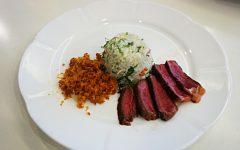 I hope through my website, Instagram, Facebook and cooking classes I’m able to spread a healthier eating lifestyle by sharing delicious, fast, easy, Keto Asian inspired dishes where culture, food stories and traditions are part of the recipes. Something delicious and familiar to our palate and close to Malaysian hearts. We only have one body so let’s take good care of it. First-hand how keto can reverse diabetes, help you lose weight and achieve clarity of mind. How to be on keto in a healthy and sustainable way. How to adapt keto to Malaysian food. 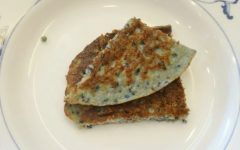 How to cook 3 Malaysian recipes including murtabak, lontong and agar-agar lumut. 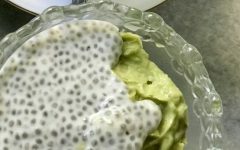 Can you believe she made these recipes keto friendly!! Enjoy some of her baked goods including keto scones, YES SCONES! And chicken buns. Receive a Keto Starter Pack full of tools and helpful tips you’ll appreciate. Take home a bag full of keto related groceries to get you started. Make friends and build a network of people who can support you in your keto journey. The fee for this workshop is RM300 per person. Spaces are limited. Email sembang@butterkicap.com for more information.